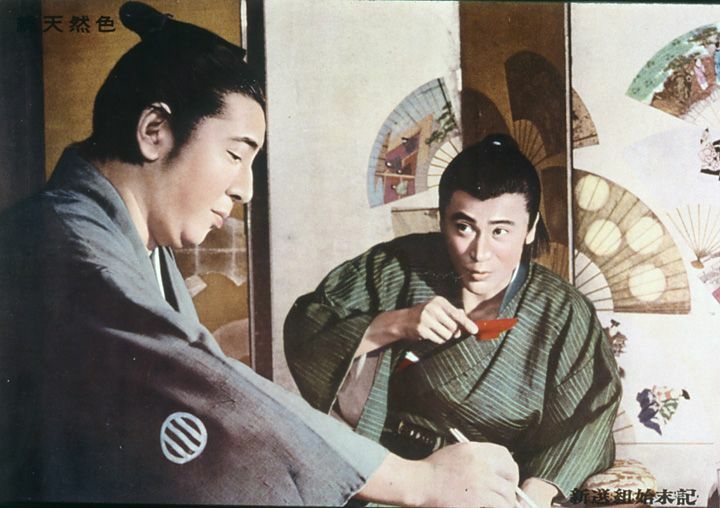 © 1963 Kadokawa Pictures, Inc. 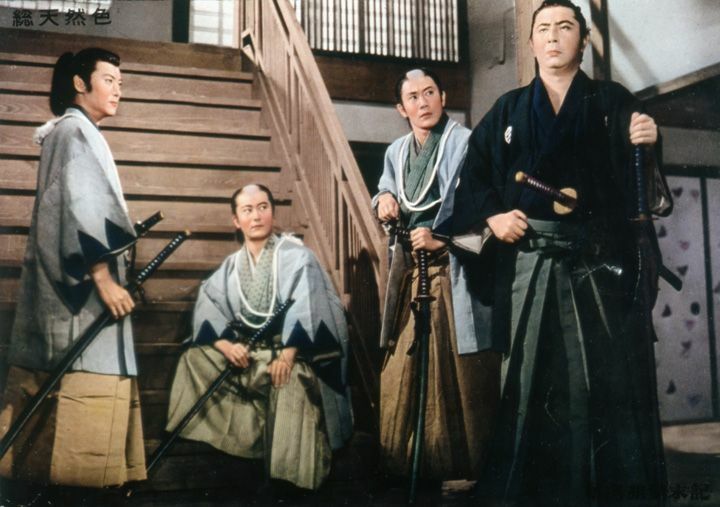 They Fought to Save the Shogunate! 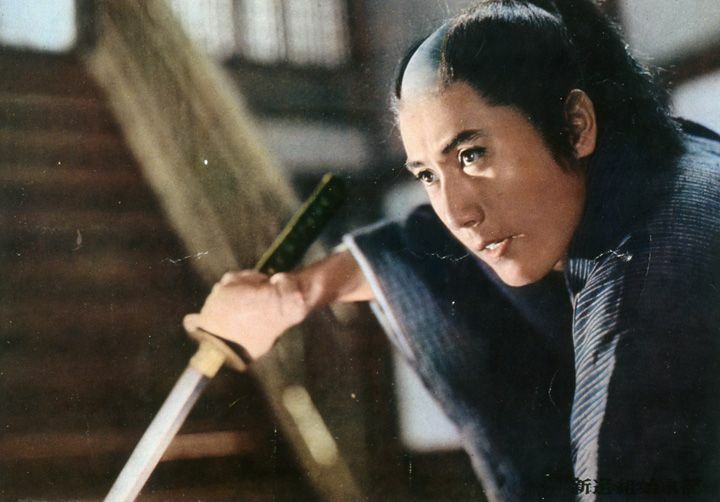 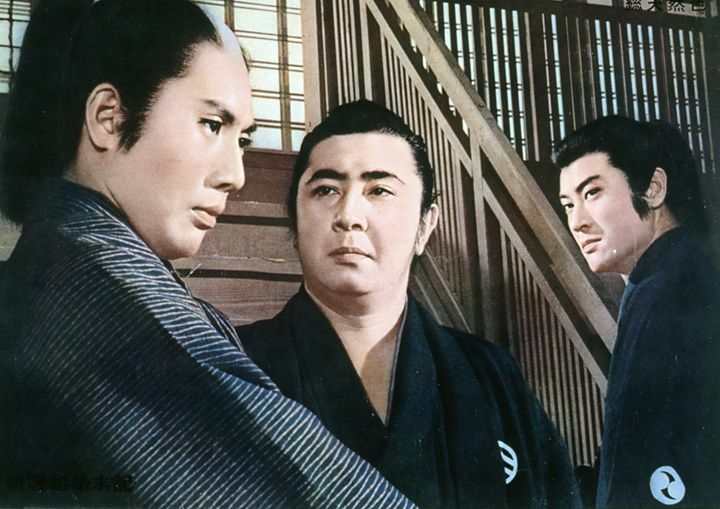 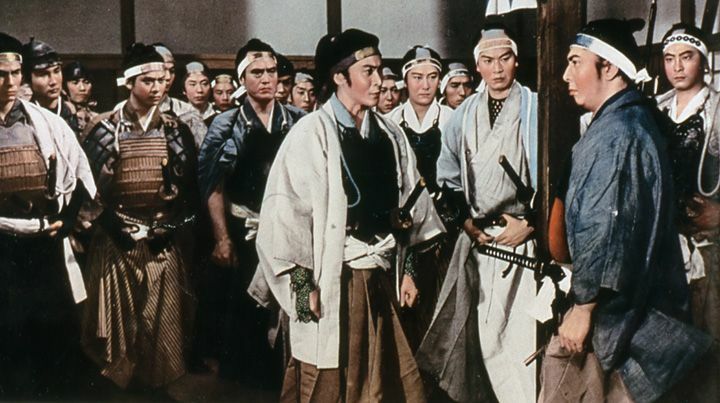 This action-packed epic stars Ichikawa Raizo as a honest man who joins the Shinsengumi out of admiration for its leader, Isami KONDO (Tomisaburo Wakayama), and because he wants to die as a samurai. 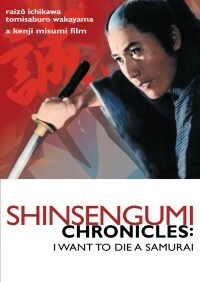 But as his involvement grows, reality and idealism come into deadly conflict. 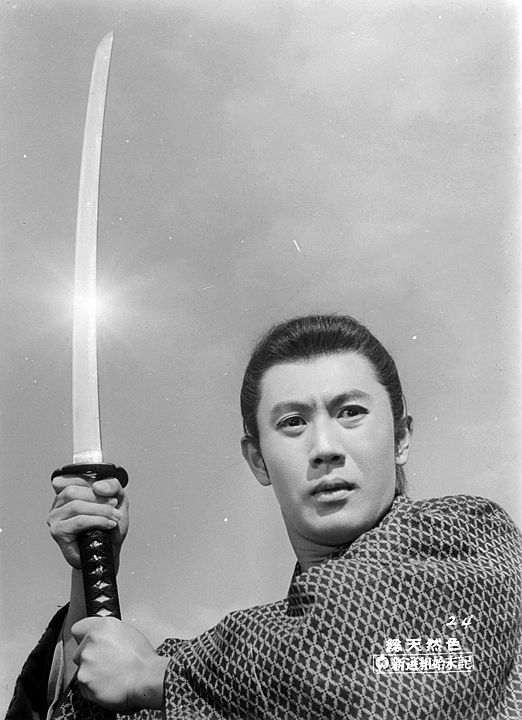 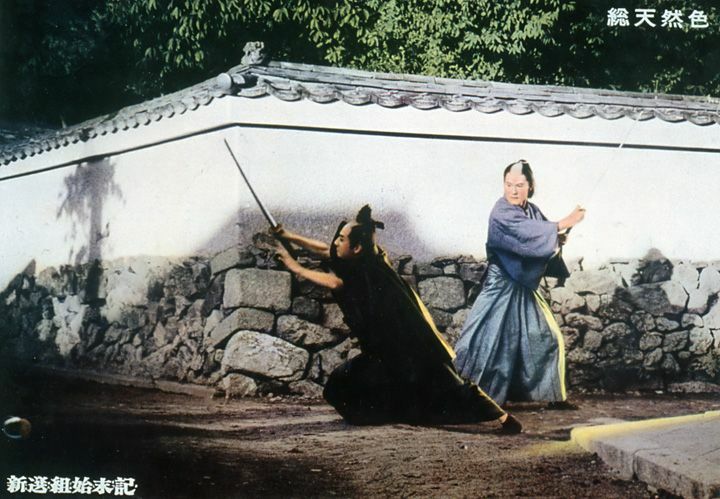 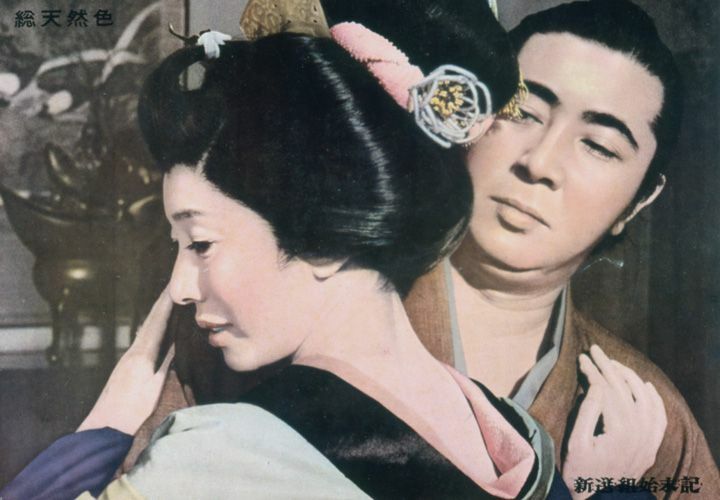 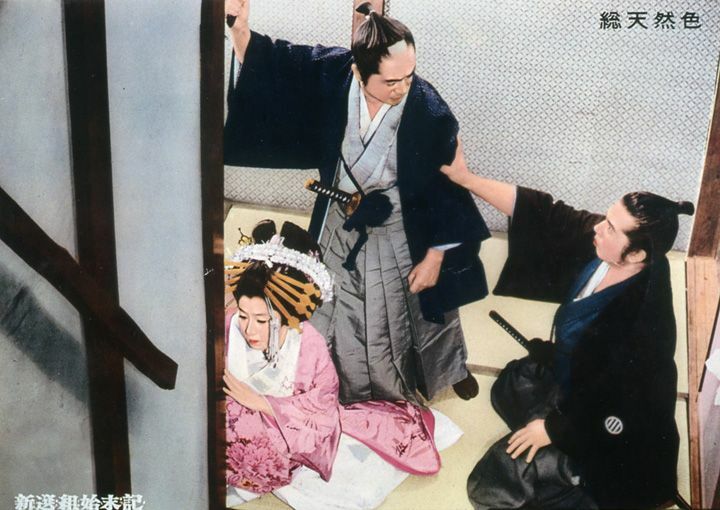 Starring Ichikawa Raizo and Wakayama Tomisaburo (as Kenzaburo Jo). 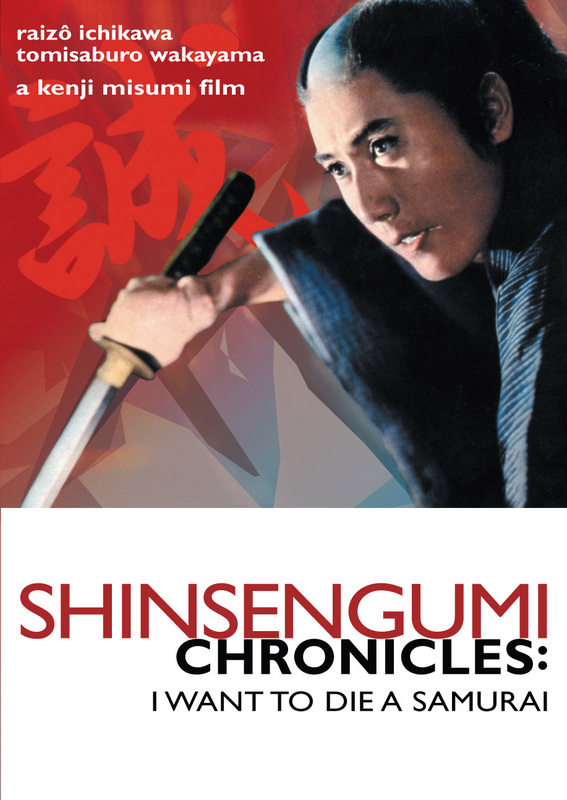 Based on the best-selling novel by Shimosawa Kan (creator of Zatoichi). 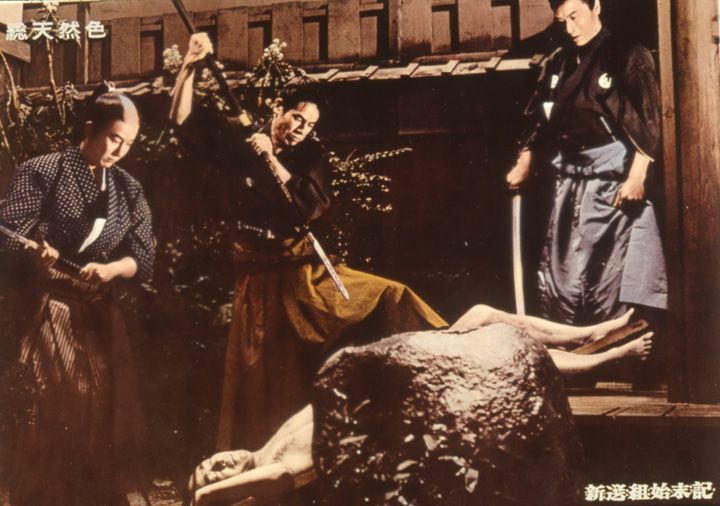 "Samurai Knights of the Roundtable" -- Patrick Galloway, Stray Dogs & Lone Wolves : The Samurai Film Handbook.